Lets Get You Back In Control of Sugar Cravings…. **ALERT! ** This download has seriously changed hundreds of lives…for the better! 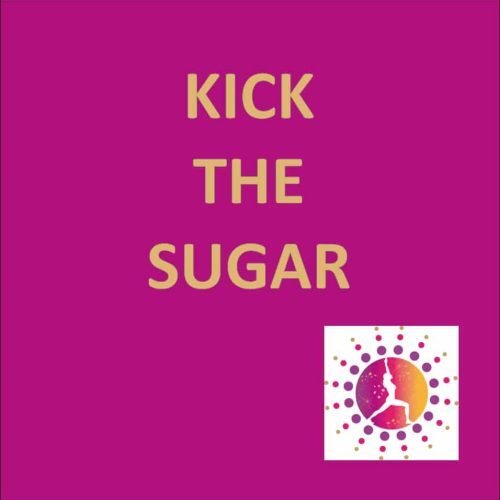 Feel back in control of irresistible sugar urges from today and download this Kick the Sugar recording you can use in the comfort of your own home right now. Don’t worry if you find that you do…you’re most definitely not alone, and there’s a lot you can do to take back control of it too. You’re not an emotional eater, you are someone who eats, and also eats when they are emotional. You’re not a comfort eater either, you just reach for the sugar because that’s what you do…it’s habit. Plain and simple. You’re not greedy. You’re not weak-willed. You’re not anything that is wrong. You’re simply addicted to sugar. And I can show you how to lift that addiction gently and effectively, and give you some peace from it. It’s not like you never eat it again…it’s just that you decide when, not the sugar! It’s not a treat for you. It’s not your little friend either! And it’s definitely not your only pleasure. It’s not even something that makes you feel good…You wouldn’t be here if it was any of those things… It’s just sugar! And know how to help you get that sweet white stuff out your life. If you prefer to work personally with me in 1:1 sessions to deal with your sugar issues then contact me today. After my session a week ago I was still…. Like does this really work or have I just wasted more money on trying to lose this weight. Well all I can say is WOW!!!! Does it work? Hell yes it does. I really can’t believe the impact, no sugar in tea, no chocolate, nothing with sugar. Someone made me a cup of tea with sugar I had to throw it away as I couldn’t drink it. I have walked pass my favourite biscuits (all butter shortbread), I didn’t even do a double take. I have lost 6lbs in weight already. Although I still eat the carbs but that is so under control. I can’t believe how I am not filling up my plate with heaps of rice and a massive potatoes. Join Us On Sunday April 28th For A Workshop Like No Other! Come along to a morning that will revolutionise how you feel about sugar and get you back in the driving seat with your appetite and food choices. And it’s so much more than that too…I’ll show you the exact foods that will kick-start your body’s own natural fat burning system, connect back to your own natural appetite, and leave you feeling completely in control of those cravings that just won’t seem to go away! **THERE IS NO OTHER COMMITMENT WHATSOEVER and you won’t have to pay anything if you decide not to come along.